If you’re someone who keeps up with social media and happenings around in the world, you don’t need to take out your smartphone from the pocket. Yes, you can do keep a tab on the latest Twitter trends right from your smartwatch. 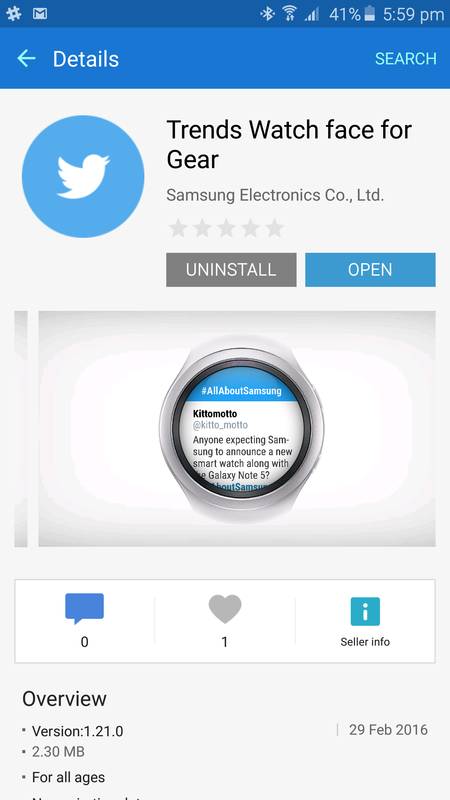 Samsung has now released a new app and a watch face for the Gear S2, both of which show latest Twitter trends right on your wrist. 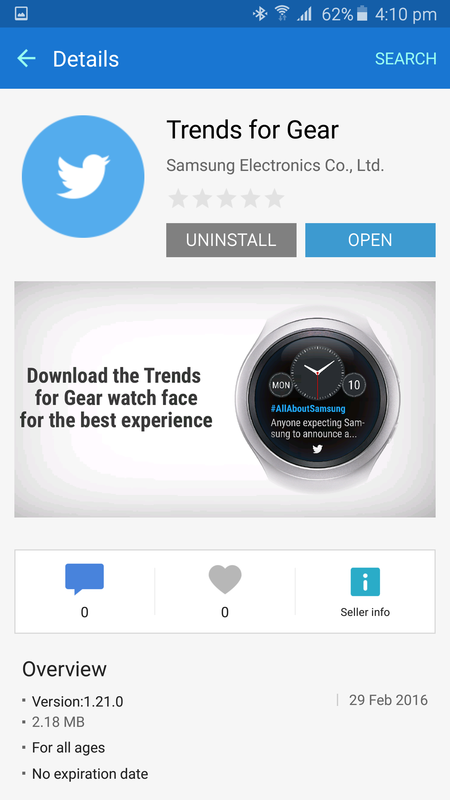 To view the latest Twitter trends on your Gear S2, you will have to install the Trends for Gear companion app as well as the Trends Watch face for Gear, which were released by Samsung today in the Galaxy Apps store. Once installed, you need to set it the active watch face on the Gear S2. 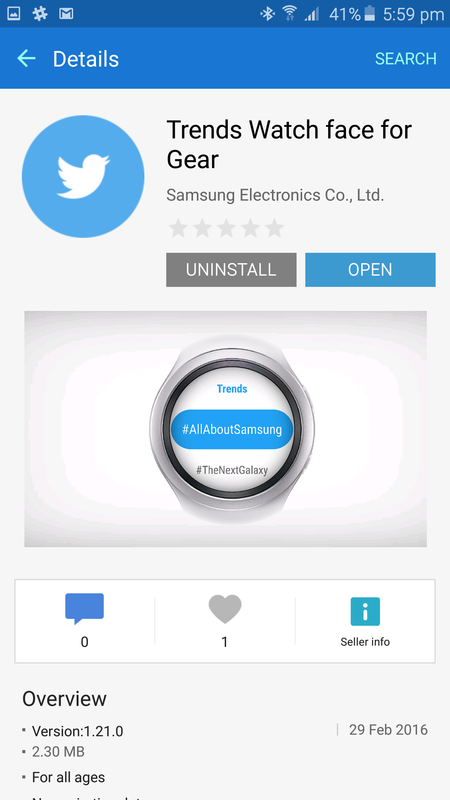 The watch face shows the top Twitter trends one by one, and you can click any trend to view related tweets on your smartwatch. Samsung is working with partners to release important apps for the Gear S2, and all those apps make brilliant use of the smartwatch’s rotating dial and the new UI to navigate inside the app. Apps like Bloomberg, CNN, Uber, HERE Maps, KLM, ESPN, Nike+, News Republic, and Flipboard are already available for the Gear S2. Thanks for the tip, @henklbr! Still no Uber app on my Samsung gear app store. Shame that Samsung isn’t offering this here even though the Uber app & service is very much available in these parts.